I don’t know about you, but our lives can be so chaotic. My husband works full-time, I work part-time, we both serve our church as youth pastors, and I’m currently getting ready for the She Speaks Conference and writing my first book. Whew! All this on top of typical wifey/mommy duties. There will always be dishes in the sink, piles of dirty clothes and missing shoes when you’re running late. There will always be cheer practice, football tryouts, dance recitals and baseball camps. And. So Much. More. 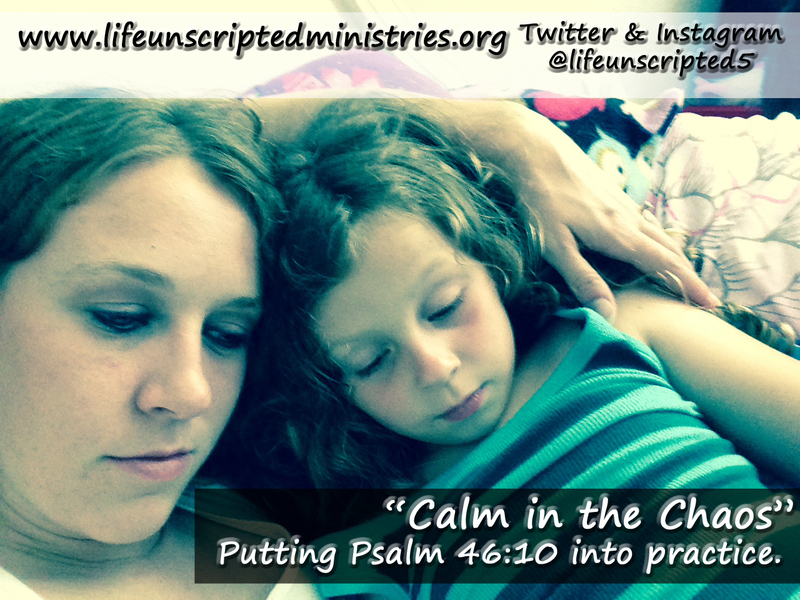 But we can’t miss out on this crucial time in our children’s lives to teach them to be still before The Lord. 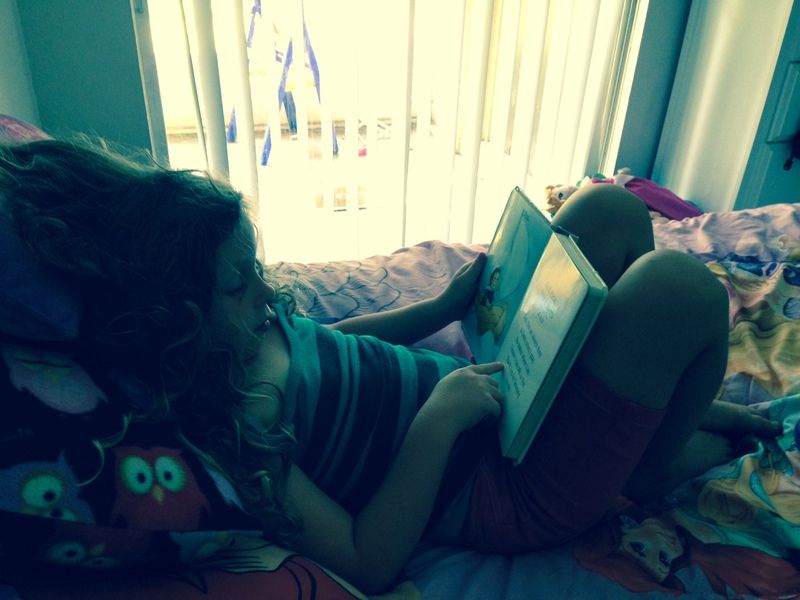 I walked into my 6yr old’s room the other day and heard her reading her bible prayer book. I didn’t prompt her to read. I was simply cleaning and heard her sweet prayers being lifted up before God. So many times we can get caught up in our to-do lists, conference calls, dinner plans and date nights. All those things are important and deserve time, don’t get me wrong. But we have got to take serious time with our children teaching them to follow in the steps of our sweet Savior before the world around them pollutes their minds and fills them with a plate too busy to squeeze Jesus into. One thing that has worked well for us is family devotion time before bed at night. (Disclaimer: Our devotion time can be loud and semi-chaotic, as we do have a very busy-body 2-yr-old as well as a 6-yr-old who gets easily distracted by said 2-yr-old. But we do our best to be decently still before the Lord. lol) We all sit down in the living room together and one of us will read a bible devotion from Kendyl’s children’s bible. Some nights are hectic, but we try our best to make it happen as often as we can. It doesn’t matter what’s a mess in your house today. Sit down with your kids and teach them to be still at the feet our their Creator. I’m praying for you! Posted on July 9, 2014, in Mommy-isms and tagged be still, bible, creator, devotions, encourage, it's ok, mommy moments, moms. Bookmark the permalink. Leave a comment.